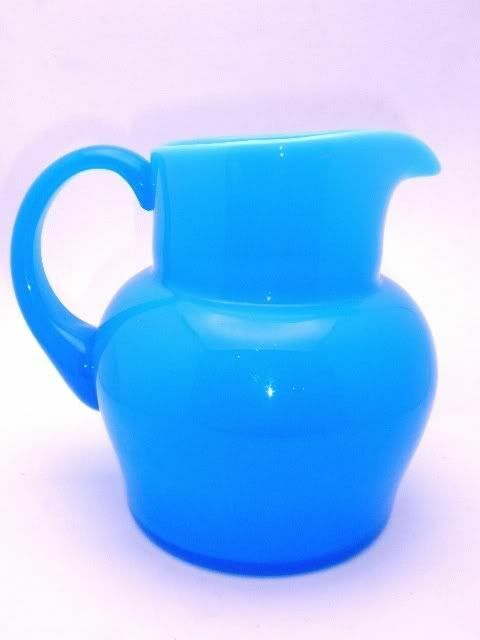 Antique blue opaline glass pitcher. 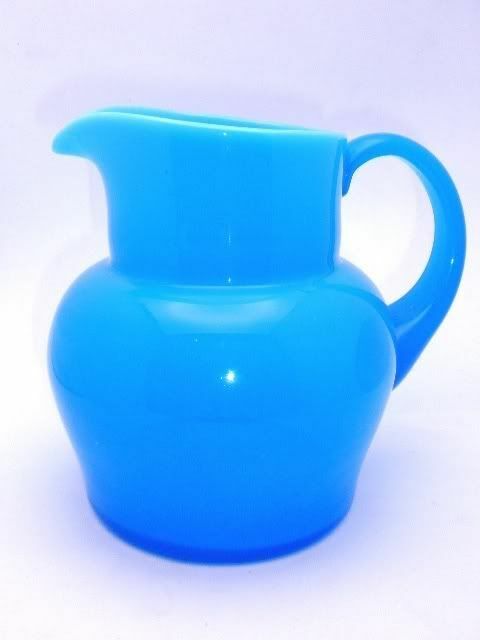 This is a rare find snd the largest blue opaline pitcher I have ever offered or for that matter even seen. 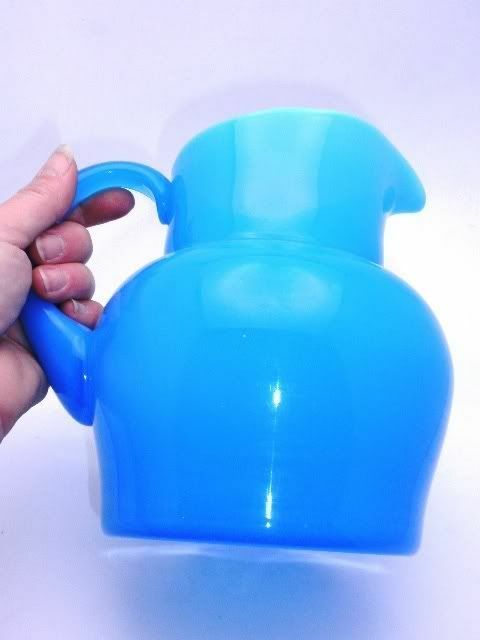 The pitcher measures 6 1/2" tall by 5 1/2" in diameter handle to spout is 7". 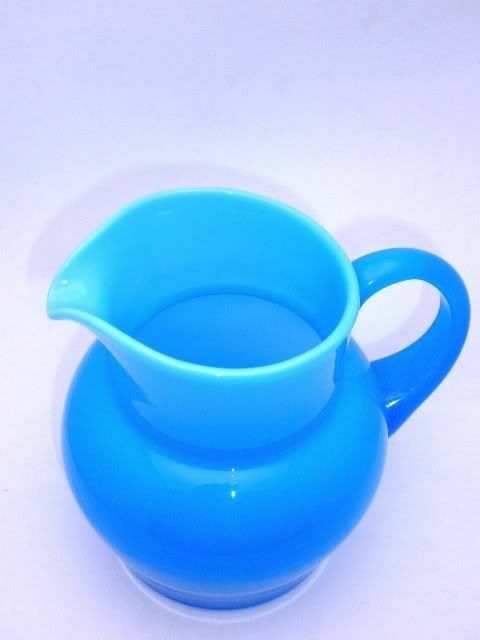 The pitcher is in excellent condition with no damage or wear to note. 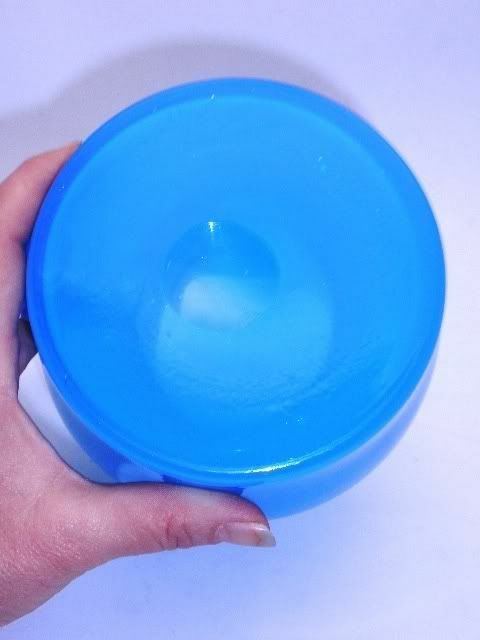 The lip is perfect and the handle sound. 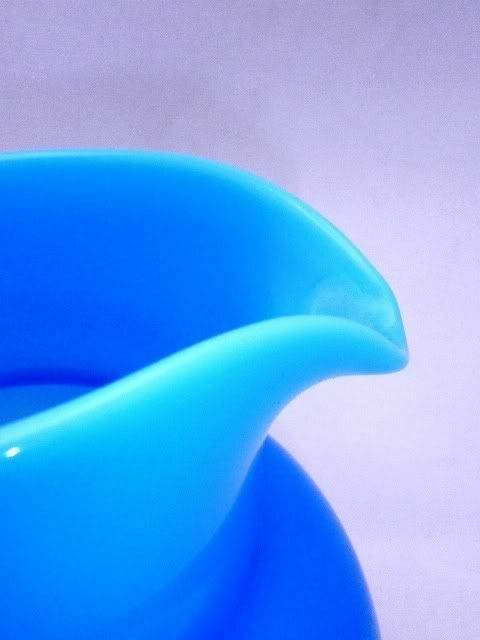 The pitcher is signed and numbered on the bottom but very faintly and I cannot make out the name. The piece is handblown and we date to the early Victorian period circa 1880. 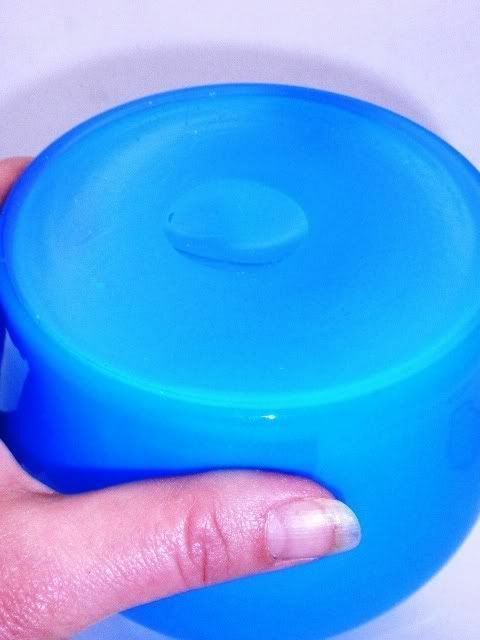 This is only part of large dealers collection of blue opaline we will be listing, please check for my other items.